Claridge's Kurtis was fastest qualifier in this group and leads lap 1 of Saturday's qualifying race into Turn 4. Saturday winner Buchanan runs 2nd here. 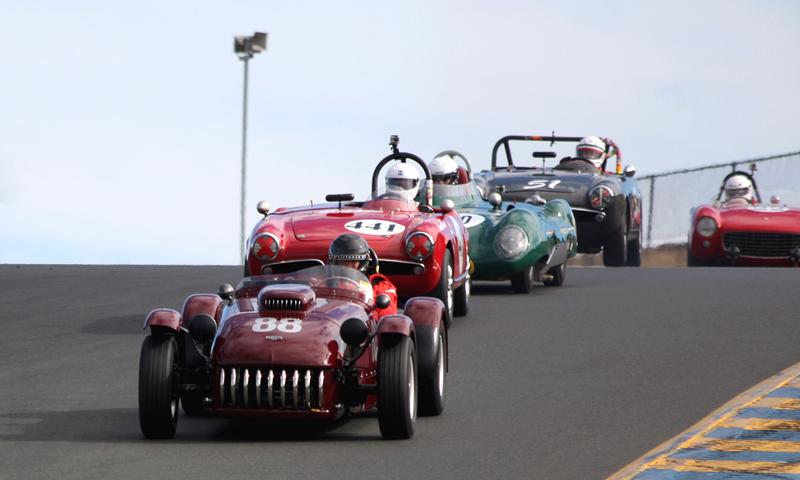 If Claridge runs his Kurtis next year he should provide an interesting challenge to the three fastest cars in the early 1950s Group in Northern California historic races.